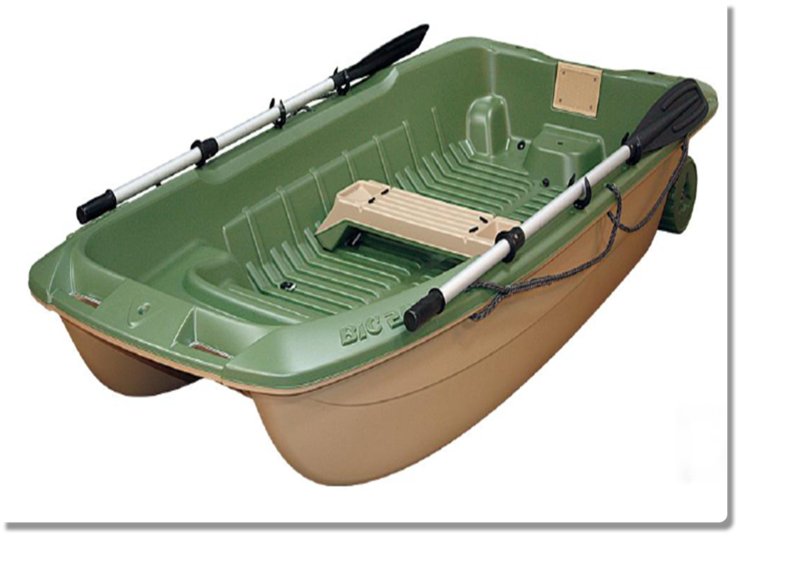 BRAND NEW BIC 245 - 3 Person dinghy, robust and strong yet light and easy to handle with integrated wheels. Priority to stability and safety : Safety was the top priority for the 245’s designers. Four factors guided the design team in their work : keeping the weight evenly balanced when in use, being unsinkable, stability and getting back on board in case of falling off. The team tested every conceivable “accident” scenario and the BIC 245 is the result of all that work. The relatively low cockpit rim and numerous carry handles etc. make climbing back in after falling/ jumping out simple and safe. When empty, the cockpit float line is below the level of the floor, allowing the cockpit to auto-empty. One, two or three people can fit comfortably in a 245. The double rowing position allows you to choose your seating configuration. That means you can adjust to any size oarsman for efficient rowing without compromising balance.